The opening of the first ever Warrens Bakery outside of the West Country at Mulberry Walk, Mere Green. Warren Sullivan, chairman of Warrens Bakery is pictured along with George Abuaita. 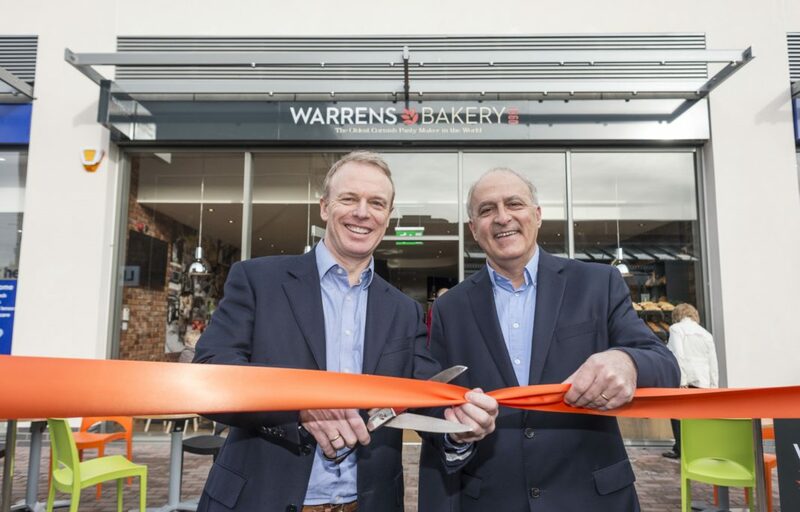 Warrens Bakery has opened its first bakery outside of the West Country. The new Birmingham store is just the first of the bakery’s wider plans to expand, with further sites currently under negotiation around the UK. Chairman, Mark Sullivan, said: “This is an extremely momentous occasion for all the team at Warrens Bakery. “Last year we unveiled our first store in Bristol and we’re now set to open our first one outside of the West Country. We are delighted to be expanding our portfolio across the country and this marks a tremendously exciting time for the business. “Our turnover has grown significantly in the past three years and we expect this to continue as we drive towards £20 million per annum through organic developments and acquisitions. George Abuaita, who is working in partnership with Warrens, added: “I really felt there was a gap in the area for a good quality bakery such as Warrens Bakery.